We want our customers to be completely satisfied with their purchase. We offer a industry leading warranty of 24 months 1,000,000 mile warranty. Before you make the decision to purchase 8 injectors we recommend checking a few things first. This is a HFCM (Horizontal Fuel Conditioning Module) drain plug for a Ford Powerstroke 6.0 Diesel applications. It is made in USA of solid brass to eliminate any possibilty of corrosion. It is much easier to remove and replace than the OEM drain plug and also features a built-in Schrader valve test port that can be used with a hose and gauge to test for possible obstructions in the fuel system. Ford recommends draining the HFCM on a monthly basis. If you are using the OEM filter, it has a special water block media rap that collects the water as it passes through the system. Once the filter is full, it can no longer trap the water, allowing water to start damping your fuel system, especially your very expensive diesel injectors. This is an aluminum fuel filter cap. With a handsome silver finish and increased durability, this is a great replacement for the original Ford factory plastic cap. It also features a 15/16" hex head for easy tightening and removal. This is an aluminum fuel filter cap. With a handsome black finish and increased durability, this is a great replacement for the original Ford factory plastic cap. It also features a 15/16" hex head for easy tightening and removal. We want our customer to be totally satisfied with their purchase. We offer a industry leading warranty of 24 months 1,000,000 mile warranty. Before you make the decision to purchase 8 injectors we recommend checking a few things first. This is a Factory Re-Manufactured Diesel Injector. The high pressure fuel injectors in the ford Powerstroke 6.0L diesel engine controls the delivery of fuel precisely into the combustion chamber. The G2.8 Siemans injector were designed for ford Powerstroke 6.0L and the VT365 Navistar International Engines. The design uses high pressure engine motor oil to create the mechanical force to atomize the fuel. TamerX now Offers the Highest Quality Fuel Injector in the Industry. With an Exclusive 2 Year million mile warranty you are covered. TamerX uses more new parts in the Injector Remanufacturing Process than any other Company. We provide New Spool Valves, New Wires, New Connectors and New Solenoids with Every 6.0 Powerstroke Diesel Fuel Injector. 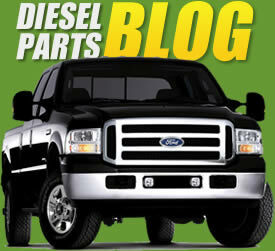 The 155-30 Diesel Inejctor Kit is a perfect Upgrade for Your Ford Truck Or Van. This will give you just the added power for towing or just Injoyable driving. If you dont use the added Power you will see an increase in Fuel Efficiency. The TamerX Performance Injector kit is a drop in replacement. No programming required. If you choose to run a programmer you will see an increase in Performance. If you have questions Please give us a call. TamerX Diesel Products has designed a kit to eliminate fuel starvation to cylinders 7 & 8. By tying both cylinder heads together, this equalizes the fuel pressure, allowing enough fuel volume to reach the injectors to obtain the proper pressure and volume level needed to operate. 1. Remove the threaded galley plugs on back of cylinder heads located toward the engine firewall. 2. Install Brass fittings and banjo bolts with copper sealing washers. 3. Connect steel braided hose to each banjo connection to create a "bridge" between the cylinder heads. The Blue Spring Kit restores the Fuel system to the Correct fuel Pressure 60-65 PSI. Fuel Pressure The fuel pressure on the Ford Powerstroke 6.0L Diesel is very critical. This is one of the first things that should be checked when drivability issues are be experienced. To Properly Check the System you will need a liquid filled gauge and extended hose to allow the operator to drive vehicle and read gauge under pressure. The fuel injectors on the 6.0 are designed to run at 65 plus psi The fuel cools the injector as well as lubricates the injector. If the engine is operated with low fuel pressure. Damage could be done to the injectors. This is the Blue spring kit for a Ford Powerstroke Diesel 6.0L. This blue spring restores fuel pressure to the updated pressure recommended by the OEM. This kit includes all of the items needed to replace the spring. This kit is easy to install and should take approximately 30 minutes. Save yourself or your company, time and money with the original Ford Power Stroke 6.0L Injector Cup/Sleeve Puller and Driver set. The 6.0L Puller threads into the old cups to remove them from the bore of the engine. The driver sets the new cups into the bore where your previous cups were, eliminating 8 hours of labor time. A must have for any diesel mechanic! This is a Service tool used to check for a fuel restriction. This tool is used with a vacuum gauge to determine if your fuel system has a blockage. This is a HFCM drain valve for a Ford Powerstroke 6.0 Diesel. The 90 Degree fitting allows for complete drainage of water from the HFCM. This fitting can also be used to check for a blockage in your fuel system.Connect a vacuum gauge to the fuel pressure port.If you draw more than 5 inches of vacuum, there is a restriction in the tank.